If you want live TV streaming news, you need more than just Stuart Sweet. He wrote me off this week, yet here I am bringing you what to look for in 2018 from the streaming service providers. 5G Wireless Internet: Verizon and a few other companies have announced plans to launch this internet service. Boasting the promise of fiber speeds without needing a fiber line, this could be huge news for streamers. The new year will see the launch of this innovative new internet service in a few cities. Experts predict an even bigger rollout of 5G wireless internet in 2019. If you’re town isn’t part of the pilot program, you at least have something to look forward to around this time next year. Amazon Fire Cube: Amazon announced its development of two new Fire TV players a few months back. The Fire TV Generation 3 – a streaming box with HDMI cable – was released a few months ago. Yet to come is the cube-shaped Fire TV player, which is expected to be released early into the new year. This device that’s reminiscent of the Lament Configuration from the Hellraiser series is expected to feature Echo Dot for accessing Alexa without the need for the Fire TV remote. Stay tuned! CBS ET: In 2018, CBS hopes to launch CBS ET. This is a planned free streaming service that broadcasts its Entertainment Tonight programming on a 24/7 basis. While not everyone is a fan of Entertainment Tonight, at least this service is free, unlike the dismal yet highly priced CBS All Access streaming service. That’s a big improvement over paying for something you can already get plus a hokey new Star Trek series. (It’s important to note that perennial Trekkie and middle-aged hack Stuart Sweet isn’t thoroughly thrilled with these 41-minute episodes.) Here’s another 2018 streaming success story from the eyeball network. It’s called CBS Sports. Although it won’t stream live games, this free service is set to offer highlights and sports coverage. This gives sports fans a way to stream 24/7 access to the world of sports news. CBS hopes its sports service will replicate the success it’s enjoyed with its free CBS News streaming service. ESPN+: With Disney now owning ESPN, the combined company plans to release ESPN+ subscription streaming service. Tentatively scheduled for a possible spring 2018 release, ESPN+ will offer additional sports events not included on ESPN’s cable channel. While this is good news for sports fans, ESPN+ falls short of offering a live stream of all ESPN programming. It’s not the strongest start for such a leader in sports programming. Hulu: A few months after Disney said it will acquire part ownership of Hulu. Since then, we’re still wondering what the “Magic Kingdom” plans to do with this streaming service. We still don’t have any clue; but, whatever Disney plans to do, it will likely do it in 2018. Perhaps the corporation wants to start the new year off with a big splash. I guess we’ll just have to wait and see. T-Mobile Live TV Streaming Service: T-Mobile still plans to “disrupt” pay TV as we know it. While details of the company’s plans remain top secret, we do know it involves T-Mobile’s recent acquisition of the Layer 3 pay TV company. It’s all supposed to go down in 2018. Look out! Verizon: Word on the streaming services street is that Verizon wants to launch a live TV streaming service. Reportedly, the company has considered everything form acquiring Comcast or Charter to creating its own streaming service. Some expect a spring 2018 launch, but we won’t hold our breath unless some sort of an announcement is made. Streamers, We’ll See You Next Week! While I appreciate Stuart contributing a Streaming Saturday article this week, he’s really a cord-cutting Trekkie at heart. When you want the best streaming news, it’s best to be on Team Buckler. 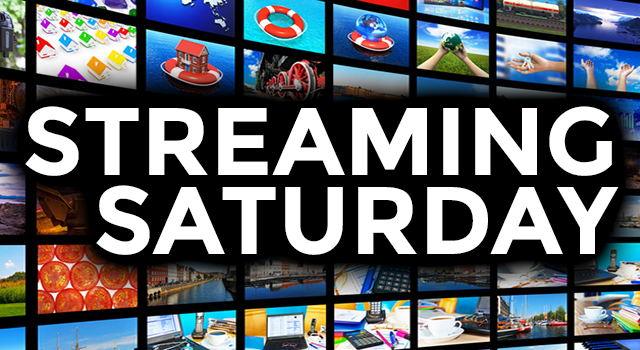 Each week, I bring you the latest developments of the many streaming service providers and more. Speaking of which, I’m excited about the many improvements coming to live TV streaming and more in 2018. See you next year!